Choose a wheel speed that best works with your style of practice. We offer composite skis in two stiffness classes. 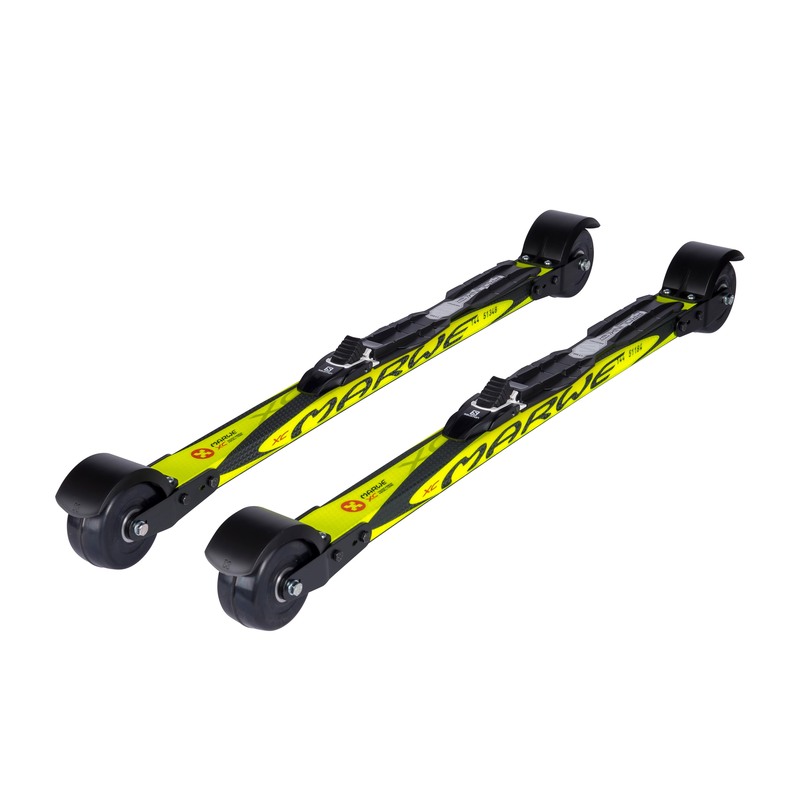 The stiff frame is designed for skiers who weigh over 80 kg or whose skiing technique is of an more powerful kind. Choose a binding that best matches your style of practice, or the ski boot type you already have. To let you get to action as soon as possible, we will pre-configure your bindings according to your foot size. This model is suitable for classic style of skiing, its flexible composite wood structure frames offer outstanding vibration damping properties. The front part of the ski has a ratchet roller, which enables classical style kick motion movement. To ensure the perfect feeling of skiing sensation, the roller ski frames are tested and paired together at our factory for uniform stiffness properties. The skis have unrounded 80 X 40 mm wheels produced from natural rubber. The Classic 700XC is a very stable roller ski. Due to this it is the ideal companion for even beginners to start their roller skiing hobby in an easy and safe way. This model of ski is used by for example Nordic combiner Johannes Rydzek, Biathletes Kaisa Mäkäräinen, Mari Eder, Rosanna Crawford and Pietro Dutto.